A great read, for conservatives and liberals alike. It is possible to affirm the validity of one’s faith in a way that shows them love without accepting all their beliefs. Polarization is real and is rampant and hurts people, but thankfully there is a third way, a middle way. Last week, the Pew Research Center shared their findings from a 20-year study of polarization in American politics. The short version: it’s getting worse. But polarization is not just a political phenomenon. It’s a religious one too. We don’t have to look far to find those who’ve been impacted by this kind of polarization, whose humanity has been reduced to an abstract “other” so we can more easily marginalize and dismiss them. Over the weekend, the news came out that Justin Bieber was baptized in New York City by Hillsong Church NYC pastor Carl Lentz. Why is this news? Other than the fact that anything celebrities do become headlines, Bieber’s baptism follows a recently leaked video of the pop star telling a racist joke (you can see the clip here – footage filmed during the making of Never Say Never when Bieber was 15). Back in February of 2014, after an X-rated photo with an adult dancer leaked, Bieber was reportedly searching for a private pool to be baptized in but had no luck. Was Bieber sincere in his apology and true in his baptism? Has he realized his actions are in conflict with his faith or is this simply a way to fix the negative PR the video and photo have brought the 20 year old? The conclusion I draw – other than the fact that Justin Bieber’s popularity continues to be a mystery to me – is similar to my thoughts on spontaneous baptisms: who are we to know whether someone’s baptism or repentance is real? Shouldn’t we leave that to the divine? Why does Bieber’s baptism need a news story, and why is his past relevant? There are hundreds of regular people who have told racist jokes, taken inappropriate pictures, committed crimes…and professed faith in God or Allah or Yahweh. How do we know they are true believers? So let Bieber profess his faith and his baptism. Take his apology and his words at face value. 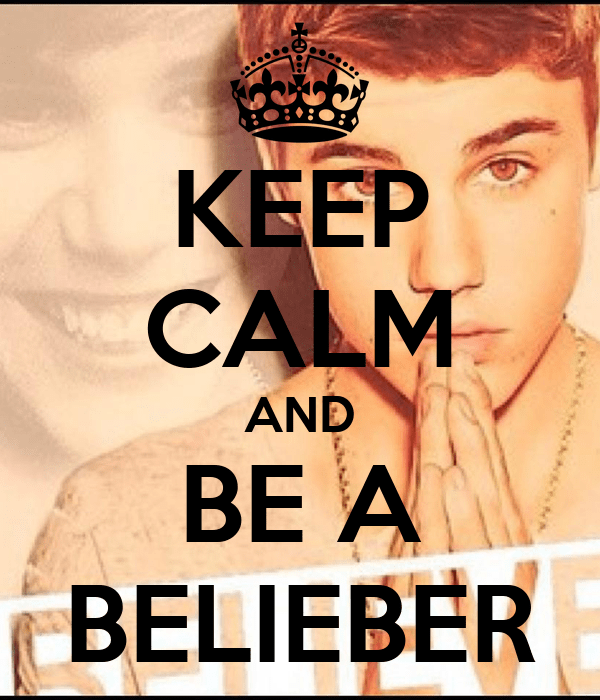 Unless you’re psychic and know his true thoughts (and if you are, I would looove to talk to you), be a Belieber.